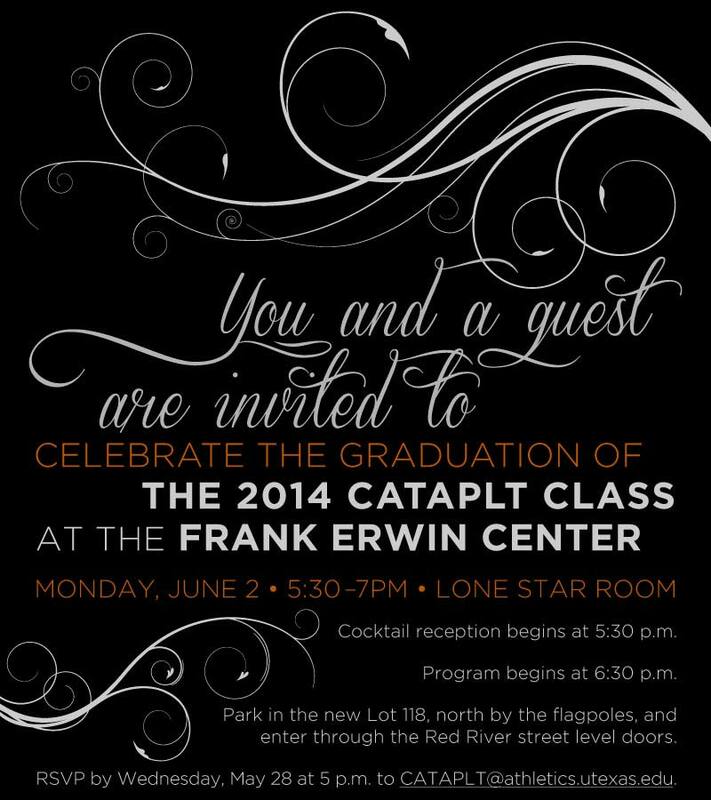 I designed this invitation for the UT CATAPLT graduation ceremony, a UT Athletics leadership program. The reception was a catered event with guests including the UT Athletics directors, the CATAPLT Council, and past graduates of the program. The goal of the invitation was to create a high-end look with black, white, and UT burnt orange to coordinate with UT branding and the upscale event decor.